– The aerospace industry is experiencing heavy growth and we will help in creating a more high-tech and job-creating industry in Sweden, said Göran Berlemo, CEO of Aerospace Cluster Sweden. 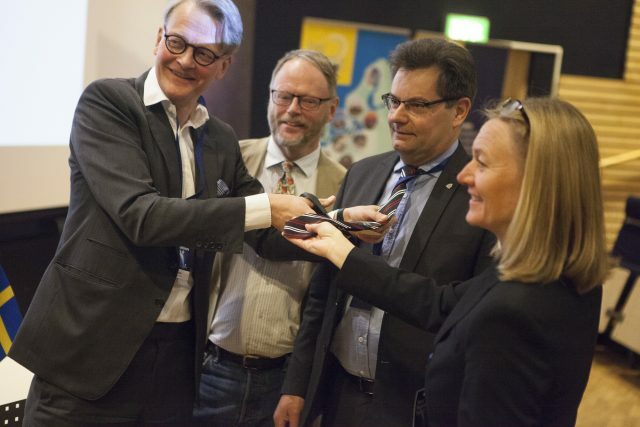 The purpose of the business cluster ACS North, which opened on May 9th in Kiruna during the Space Innovation Forum, is to actively work to strengthen the aerospace industry in Sweden. There is a need for local subcontractors to support the space industry and ACS North will be a natural player for developing collaboration between academia and industry, regional, national and international actors. ACS North will contribute to a new type of infrastructure and expertise and supplier network around SSC Esrange, EISCAT and other space actors. – The opening of ACS North strengthens Norrbotten’s position as a space center and complements an already strong ecosystem. By combining education, research, innovation and business opportunities with our unique geographical location, Norrbotten has the opportunity to become an internationally leading region in space, said vice-chancellor for Luleå University of Technology, Birgitta Bergvall-Kåreborn. The aerospace industry is growing rapidly. Over the next ten years, hundreds of millions SEK will be invested in the Arctic region from space actors such as EISCAT and the Swedish Space Corporation, SSC. Luleå University of Technology has also invested considerable resources and is today a key player with top research in space, international contacts, space research school for doctoral students and Sweden’s only civil engineer in space technology. The rocket base SSC Esrange is also positive for the creation of a new northern company cluster. – New Esrange is a project that will modernize and further develop the rocket base’s potential. It will require several suppliers that can deliver interesting products and services to the future aerospace industry and it will lead to the creation of several new jobs in the space sector, said Lennart Poromaa, director of the space launch facility SSC Esrange.